I will be signing books at Miraflores Winery in Placerville, California next weekend, February 9 and 10. 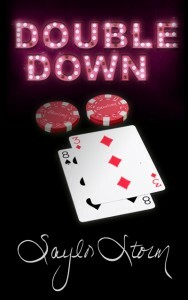 We will be launching my third novel, Double Down. Come sip some wine and have your book signed. We will have pearls for sale as well, just in time for Valentine’s Day. My third novel in the Arnie Darrow series will be avaialble on Amazon by the end of the month. The book takes place in Nevada nad revolves around the gaming industry. Beautiful presentation at Lone Eagle Grill. You are currently browsing the Saylor Storm blog archives for January, 2013.